Conventional water treatment schemes are often based on a multitude of processes including pre-filtration, precipitation/flocculation/coagulation, sedimentation, sand filtration, and finally disinfection. Despite this complexity, a consistent effluent quality is not always possible. Membrane technology, on the other hand, utilizes a physical separation process to produce a consistent, high quality permeate in an environmentally friendly manner. MICRODYN AQUADYN® modules use a unique 0.025 micron polyacrylonitrile (PAN) hollow fiber membrane that is hydrophilic, low-fouling, high-flux, and double asymmetric. The double asymmetric property allows the membrane to reject bacteria, solids and turbidity more effectively due to a filtration layer inside and outside the hollow fiber. Therefore, problems such as pore clogging during backflush do not occur. The compact design of the AQUADYN module allows for smaller plant sizes and the high level of possible automation results in easier day-to-day operation. 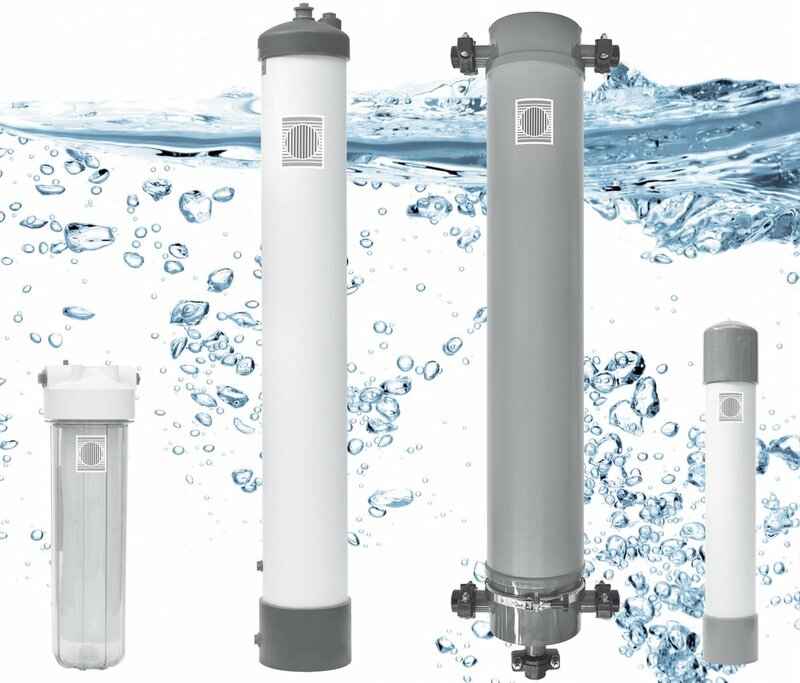 The AQUADYN series offers a comprehensive range of filtration modules for a wide spectrum of applications.